Portraiture Now displays the diversity of contemporary Asian American identity through the groundbreaking work of seven visual artists—CYJO, Zhang Chun Hong, Hye Yeon Nam, Shizu Saldamando, Roger Shimomura, Satomi Shirai, and Tam Tran. Roger Shimomura is a third-generation American of Japanese descent who deconstructs Asian American stereotypes through his art. Born in San Francisco, Shizu Saldamando blends references to youth subculture in Southern California with nods to her Japanese and Mexican heritage. Other artists use concepts of diaspora, migration, and transnationalism to expand the meaning of their Asian American identity. Artists from Asia who work in the United States—Satomi Shirai, who moved to New York City from Tokyo; or, Hye Yeon Nam, who came to this country from Korea to study art; and CYJO, an artist currently based in China—regularly travel back and forth from Asia to the United States and craft unique portraits of encounter from their experiences. Artists who now live in this country—Zhang Chun Hong, who recently spent a year in her native China but makes her home in Kansas; or, Tam Tran, whose family relocated to Tennessee from Vietnam—inflect their journey in expressive ways. This group of artists demonstrates, in microcosm, the nuances inherent to the Asian American experience. Their portraits of encounter offer representations against and beyond the stereotypes that have long obscured the complexity of being Asian in America and reveal the threads of contemporary life in novel ways. Exhibition curators include Brandon Brame Fortune, Anne Collins Goodyear, Frank H. Goodyear III, Lauren Johnson, Rebecca Kasemeyer, Wendy Wick Reaves, Ann M. Shumard, and David C. Ward. This exhibition is a collaboration between the Smithsonian’s National Portrait Gallery and the Smithsonian Asian Pacific American Program. 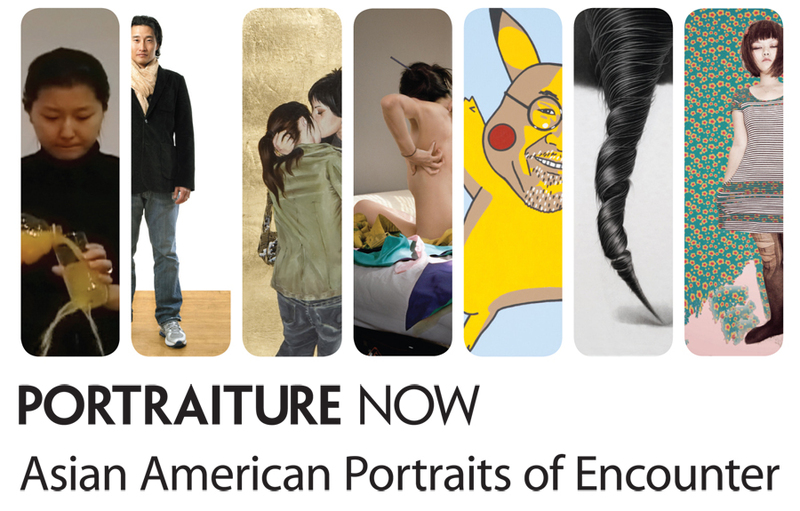 Lead support for the exhibition, publication, and related programs is provided by the E. Rhodes and Leona B. Carpenter Foundation and the Rebecca Houser Westcott Fund for Portraiture Now. Additional support is provided by Andrew S. Ree and the Joh Foundation.